The United Kingdom UK Prime minister, Theresa May, has described Nigeria as a country to be home to the highest number of “very poor people” in the whole world. 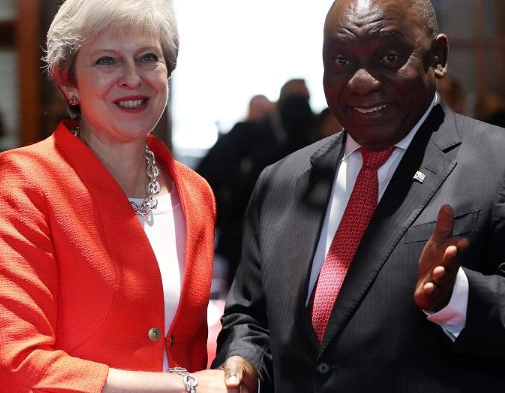 The prime minister, May started her visit/tour to Africa today August 28th, made the description in Cape Town, South Africa at a press conference with South African president, Cyril Ramaphosa. Much of Nigeria is thriving, with many individuals enjoying the fruits of a resurgent economy, yet 87 million Nigerians live below $1 and 90 cents a day, making it home to more very poor people than any other nation in the world. We can remember that sometimes in June this year, the Brookings Institution, an American research group named Nigeria the poverty capital of the world, overtaking India, a country with a total population of over 1.3 billion people. As at the time this report was released, the Federal government asked Nigerians not to put any importance to it as the figures used in the report, were taken when the nation was in its worst economic recession in 29 years.